IBM Trusteer solutions analyze fraudulent patterns across organizations worldwide to identify and distinguish true customer patterns from fraudsters early in the new account creation process. IBM Trusteer Pinpoint Assure solution incorporates mobile carrier intelligence to help you assess the risk of fraudulent intent, allowing you to confidently let new customers in, while helping to keep fraudulent activity out. IBM Trusteer uses machine learning and advanced analytics to identify linkages in a multitude of data or proof points to detect and identify fraudulent patterns as part of the overall provided risk assessment. 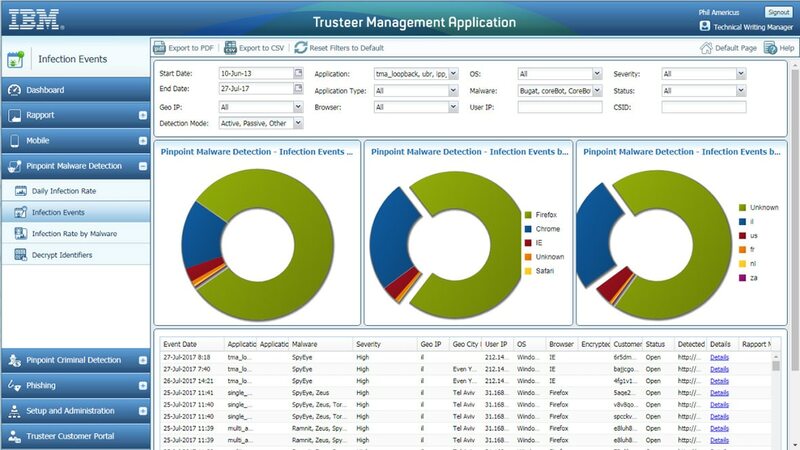 IBM Trusteer Pinpoint Assure solution analyzes fraudulent patterns across organizations worldwide to help detect patterns across protected banks at a velocity and rate similar to those of known fraudsters. There are no system requirements to deploy this cloud based solution.